2104 - 2015 CX is Nearly Here. The Doubleshot! A Few (Sincere) Thanks and Race Preview. Most of these fears come from our deeply-held desire to put on a killer race that keeps folks challenged, happy, and planning for 'next year' before they've even crossed the finish line. Looking at our registrations for 2013, it seems like we've done that to some degree, as we have quite a few returning racers. We truly owe reptitive and public thanks to our sponsors. Device Creative Cooperative started things off by designing our race t-shirt for this year, asking only for a few shirts in exhange for their creative donations. Bell, Davis and Pitt Attorneys and Counselor at Law stepped in with Road Holland Cycling Apparel and Accessories to be our leading sponsors for 2013. You won't be able to miss Bell, Davis and Pitt on race day as they'll again provide the Civil War-era replica cannon that will serve as our starting gun. Boom. Richard and Jonathan at Road Holland have been good to us for nearly two years now, working with us to produce custom wool-blend jerseys for Autodrop Ltd. In a true showing of camaraderie, Richard is driving down from Richmond to race this year! Hup! Hup! Even better, each solo category winner will receive a free Road Holland jersey for their efforts. As someone who owns four Road Holland jerseys, I can tell you these are excellent pieces. You'll notice a few high-quality goodies in your registration bags, but we don't stuff them full of useless flyers, coupons, or junk mail. Bruce Dickman at ProGold is hooking you up with bike lube samples, while Doug Meis is contributing chamois butter. Great Outdoor Provision Company is giving out coasters and stickers, while providing the very bags holding these goodies. Truly useful items, very little fluff. Finally, we have to mention the post-race beer (yes, you must wait until after the race to partake). Bus Bier is brewed by our longtime friend Erik Buskirk, a meticulous and creative guy with a passion for all things malty and hoppy. He's brewed three different beers for this year's event, so belly up post-race and ask him how he does his magic work. In terms of the race itself, we are nearly there! Mother Nature looks to be throwing something interesting into the middle of this week, but the forecast for race day continues to look dazzling. If it turns out that road or trail conditions warrant course adjustments, we'll make those announcement as soon as we can. And, to our surprise, the race is almost full! We are limiting the race to 100 racers as part of our agreement with Hanging Rock State Park, and we're sitting at 87 registrations tonight. Don't wait until race day to sign up, or you might not get in! Thanks to all of you who are helping to make this event a reality for us and more importantly, for MST. If we can answer any questions for you, please send us a note at autodropltd[at]gmail[dot]com and ask away. We hope to see you on March 9! As we close out 2012, it's impossible for us to adequately thank those who've supported our little Autodrop Ltd. project. Even so, THANK YOU! We continue to hope that our events and products bring new types of fun, passion and style to the cycling community in Winston-Salem and surrounding areas. Our sense is that even though we're small, we're having an effect and we have you to thank for that. Event-wise, we closed our 2012 with a somewhat last-minute get-together: The Camel City Cycling Festivus. At our fall checkpoint race we met Caleb, a local singlespeed guru with insight into alleycat races - and an idea was born. We ended up hosting a charity urban checkpoint event at Bob's Big Gas Subs and Pub with a canned-food entry fee and free beer. How can you beat that? Thanks to our generous riders, we collected over 150 food items, clothing and toys for local families in need...and that feels better than a 15mph tailwind. It was new for us to take on a project like that, and the response - 35 or so riders on a cold Thursday night in December - was heart warming to say the least. 2013 will be a big year for us as we're doing what so many race promotion groups struggle to do: repeat a previous performance. 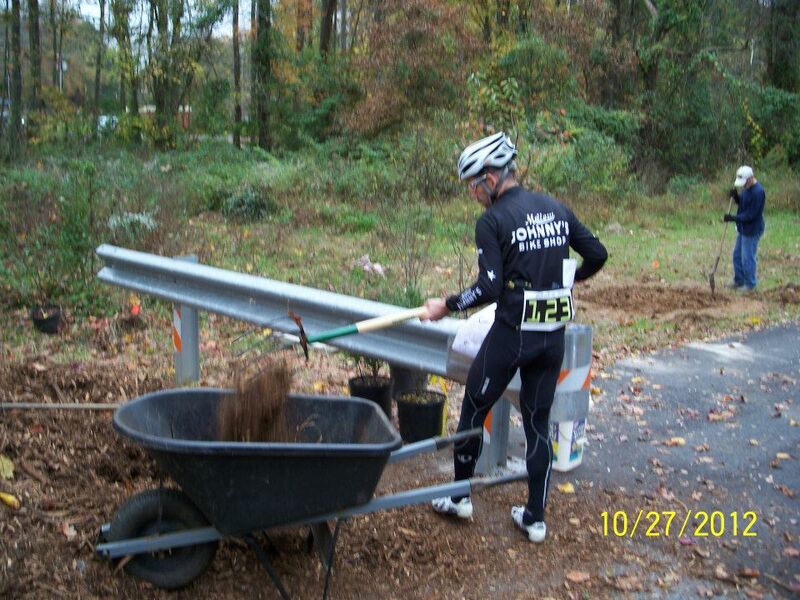 The 2012 Doubleshot was a surprising success for all parties involved: Moore's Springs Trails received wonderful exposure and a sizable donation while Autodrop Ltd. and other event sponsors reached out to invest in and improve a meaningful and tangible outdoor resource. We are thrilled to be working with many of the same quality sponsors from 2012 alongside the development of new partnerships for the 2013 event - our first big announcement being that Road Holland Cycling Apparel and Accessories will be awarding one of their amazing, wool-blend jerseys to each of the solo category winners (male / female / muzzleloader / ramrod). Autodrop Ltd. has partnered with Jonathan and Richard for a few custom projects now, and we can't say enough about their high-quality cycling products (and personalities). Stick to our wheels over the next few weeks as announcement and race info will be coming out. We'd love to see you at the Doubleshot as a racer or a volunteer - and even if you're neither I can tell you it's a fun race to watch and there will be beer. Cheers to you and yours and here's to a great new year! The blog is usually a place where we discuss upcoming Autodrop Ltd. events or our exploits in the world of cycling adventure. In this case, we'll vary the theme a bit and take a shot at reviewing a cycling-specific product. Truth be told, Barry and I both calculate our bike and bike accessory purchases carefully, following no small amount of research and perseveration. This is primarily because we don't get much in the way of swag here at AD headquarters. If anyone reading this would like to change that fact, please just drop us a line. The following wheelset review has a short lead-in story. I was involved in crash while riding with my 5:30am #daddylife crew in which I did not actually go down, but the gent behind me slammed into my bike as I came to a stop to avoid another fallen rider - cracking my frame and fatally denting my rear wheel. The wheelset in question was a pair of 2009 Easton EA90SLX clinchers that I simply loved. They rolled smoothly, were relatively stiff, and despite a leaky rear hub seal that precipitated a need for new bearings in 2011, they never failed me. They safely carried me through two Tours of the Battenkill, which is saying something. With their demise, I was faced with a choice: Get another pair of Eastons or go a new directon? I usually follow a loyal purchasing pattern, but I strayed on this occasion. Zipp: Smooth hubs, wide rims, little heavy for the price. Dura-Ace: Alu/carbon matrix rims, high-quality hubs. No real dings, top notch all around. Hed: Wide rims, competitive weight with FR versions. Ultegra: Inexpensive by comparison, clincher or tubeless, but heavier. American Classic: Super light, good hubs, question as to stiffness. I rode the Ultegras and found them to be smooth and quiet, adequately stiff and offering good road feel. The 1600gm+ weight was noticeable at spin-up compared to my previous wheelset. After talking with Sean at Doc Wheelies, I settled on the American Classics and anxiously awaited their arrival. First Impressions: The wheels were well-packed and included rim tape (already installed), valve stems and highly-detailed instructions. Pulling them out of the box, I was stunned at the lack of mass. Truly stunned. The look is distinctive, with white hubs and two/three white spokes mixed among the black AC bladed spokes. The graphics are also interesting, and highlight AC's new visual campaign. Observations complete, Sean and I took to the task of mounting the new Hutchinson Fusion tires. I opted for 23s as the AC rim width and bead system will offer a larger contact patch with a traditionally narrow tire. Mounting Tires: Getting the Fusions mounted to Bill Shook's novel rim/hook system is easiest with quick air pressure and plenty of soap and water. Don't be shy but don't use a tire tool. Thanks to Sean's manly hands and a spiffy tire setting tool (which looked like a dental device for an elephant) we got the job done. Go with an air compressor and push it to 120psi or so to set the bead. We didn't hear much of an audible 'snap' with setting, so don't be surprised if it is a relatively quiet process. Tubeless Issues: It is recommended that the first ride or two be near your home, as there is a chance a small section of bead may not be fully seated despite your best efforts. Before I went for a long ride, I left the bike overnight to check our seals. Sure enough, the rear was flat by breakfast. A little soapy water and some vigorous floor pump action, and all was well. I also opted not to run sealant at this point, as this is not required for tubeless riding with these wheels. Riding Impressions: The light weight of this set is the most notable feature. AC advertises the pair at 1190gm or so, which is insanely low for an aluminum wheelset. The low weight has benefits and costs. As expected, these wheels snap forward under power but that momentum is quickly lost due to the very low rotational mass. For a rider like me (one who avoids TTs like the plague) this is not a major issue. For epic rides that cover hills, flats, and variable surface roads, the low weight is not expected to be a liability. If I were still racing crits but didn't want to roll a deep dish, I'd go with a heavier wheel with a stiffer profile like the Zipp 101 set. As it is, these wheels climb with ease and descend with some penalty. The much-touted 'tubeless' ride, with the somewhat stiff Hutchinson tires is comparable to, if not slightly better than the ride I experienced with my older Easton rim / Continental tire combo. If there is an improvement in ride quality, it is in the transmitted vibration from small bumps and road ridges. 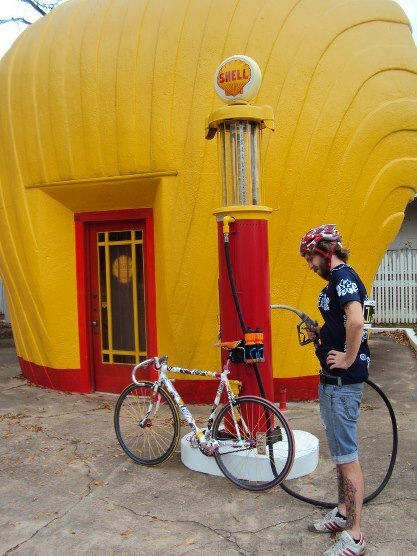 I have been running the tires at 90-100 psi on most rides, which is the recommended range. I experimented with lower psi on rougher roads in rural Virginia, which improved the ride quality even more. Going too low is not a good idea however, as it increases the risk of unseating and rim/bead failure. As far as holding air goes, the tires lose approximately 2-3 psi per day if left sitting. The hubs roll smoothly, and the sound emanating from the rear is busy and low-pitched, even muted in nature. I like it as it seems stealthy. On hard efforts, engagement is quick and wheel flex is minimal with no perceived brake rub. For the record, I'm 5'10" and 145 pounds soaking wet. The Little Things: The skewers and closure mechanism are acceptable quality but not remarkable. I'd place the skewers on par with Easton and Hed but less impressive than Shimano. The graphics look great while rolling. The braking surfaces are not machined (AC felt this could endanger rim thickness and lower rim strength) but they stop well, if not as smoothly as a machined surface. My seat-of-the-pants test tells me these stainless bearings are not quite as fast as the ceramics that were stock with the Eastons, though this could be multifactorial and needs time to play out. The Verdict (for now): This is a distinctive, high-performance wheelset aimed at pushing the road tubeless market forward. AC says these are race-specific wheels but I don't intend to use them on such exclusive terms. 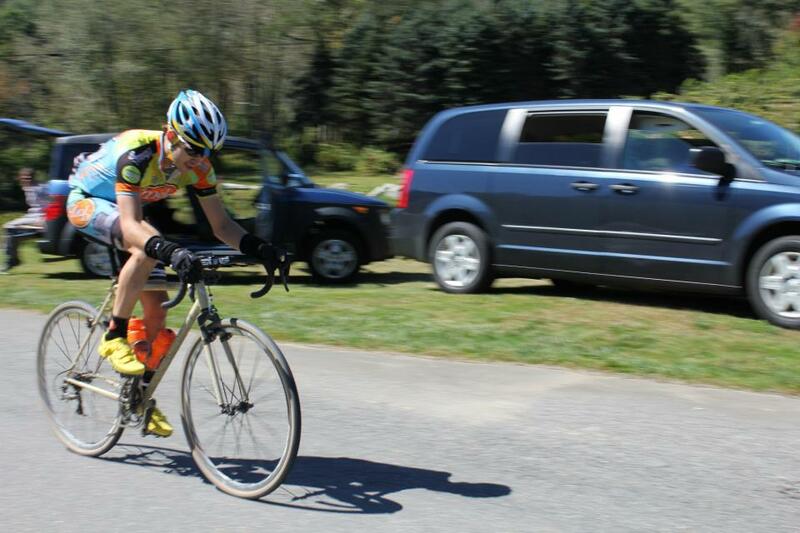 The low weight is a bonus on long climbs where the reduced rotational mass will preserve energy. However, I do feel a slight reduction in momentum when pushing it on the flats and on the downhills. For me, this is not a problem and I am generally riding in groups or on rolling to hilly terrain where any deficit is likely negated. My next step will be to ride these in rougher conditions (gravel / dirt) and check the toughness factor. Jered Gruber's review, which is altogether comprehensive in nature, notes that the wheels took gravel abuse with good results, so I'm optimistic. This really is the only high-end aluminum tubeless wheelset out there at the moment. Many carbon wheelsets can get to this weight, but none combine a metal rim with tubeless technology at this level. We love night ridees. Riding on the road at night is a surreal experience - tunnel vision, unseen road hazards, the increased sense of speed...not to mention the low traffic, skyline views, and a finish line that can include a little adult beverage indulgence. There aren't too many night riders in Winston-Salem, or at least not too many that we know. We're aiming to change that. Alley cat races are not your typical bike events. Our Slingshot race is roughly based on the alley cat style, but after talking with our new friend Caleb last week, we're thinking that Winston needs an alley cat event to combine the fun of night riding with the checkpoint madness that makes alley cats so fun. We're reaching out to local businesses who've expressed interest, so hang close by for details as we roll them out. Chances are we'll throw at least one before spring arrives. 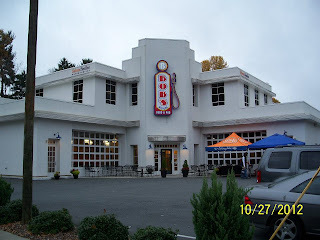 To read a little about the run-up to the last one in town, go here. While you're waiting to see what we'll put together, go charge your lights! 'Tis the season for night riding. -Team Rats**tpoisonbreath took on 60+ miles in the Full Monty category, getting lost more than once, greeting a vicious dog more than once, and nearly making it to their goal of fording the Yadkin River. Did I mention one of them was riding a fixie? Proud work. -Team PA Brakaway moved up from their impressive 3rd in the Local Yokel category in 2011 to a smoking 2nd this year! -Team Coffee-->Bike-->Beer landed the winning spot by the slickest method possibe: They claimed over 1000 points in wild card finds, mostly historic markers and greenway signs around the W-S area! Nice work Dean and Gabriel. 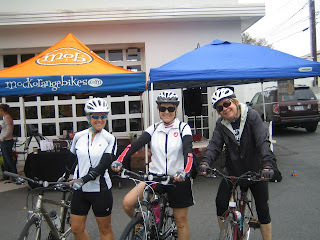 Up next is the 2013 Doubleshot, our signature fund-raising event for Moore's Springs Trails. Look for more info at the race site soon! Patrick Beeson, a member of the local Mock Orange Bikes race team, claimed the overall title at the King of Pain race series in NC this weekend. Congrats, Patrick! The series is promoted by Andrew Stackhouse of Pirate Race Productions and is composed of three brutal, gravelly and/or hilly races that test one's sanity and fortitude. It is not for the weak of heart. "I picked up some Autodrop Embro because I loved that someone was brewing this locally. But also because I needed some warmth for the upcoming 'cross season. I know it's a bad idea to try out new products the day of a race, but I needed some heat for the Three Peaks Ultra Cyclocross race in Banner Elk. I slathered a layer on my legs, and felt it working immediately. This was a big win over my previous embro experience! The heat was accurately billed as medium, and helped deflect the morning temps in the 40s with a stiff wind. It even kept on keeping on after the four-hour epic; I had to dash to the bathroom to clean it off! I plan to give Autodrop's embro another go next weekend as the 'cross season officially gets underway!" While we knew we liked our embro, it is another thing altogether to receive appreciation from our fellow cyclists. If you'd like to try our Pisgah (cedar) or Uwharrie (mint) embrocation, hit up the Autodrop Shop and we'll get it right to you! Here's a gratuitous shot of Patrick near the finish. We have to also point out that he's sporting the Autodrop Ltd. cycling cap by Red Dots Cycling. It's a nice complement to the Mock Orange racing kit! The following is borrowed directly from the Road Holland blog. View the site in its entirety here. I vividly recall the first day I ever used the Internet. It was December 2, 1994 and I was working at an ad agency in Richmond, VA. I had convinced the bosses that I needed a modem connection in my cube to experiment with this new thing called the Net. The installation occurred on a Friday afternoon and by the time it was done, it was time to hit the office's favorite watering hole for some holiday drinks. I paid my dues at the bar but then went back to the office around 9pm and stayed until 2am surfing the web with Mosaic. It was slow going - I must have only visited 10 sites at the max and don't even recall how I found them. But it was remarkable. Mind blowing. Fast forward 17 years to 2011 and the Internet remains a source of wonder for me and what it can do. Two simple email requests to us - one from two Canadians and one from two North Carolinians - have resulted in a cycling love triangle. 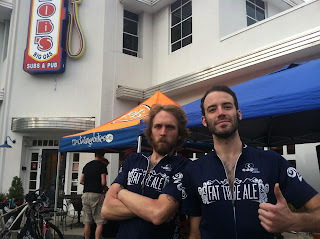 Richard and Guy at Bikes, Books, and Beers (https://vimeo.com/user3778525) in Vancouver emailed us in February 2011 about trying out some of our jerseys. They wanted to look serious and stylish while vlogging and thought we could help. We obliged and soon realized we had similar tastes in many things bikes, books, and beer related. I was fortunate to also be able to meet the duo in Vancouver back in May. 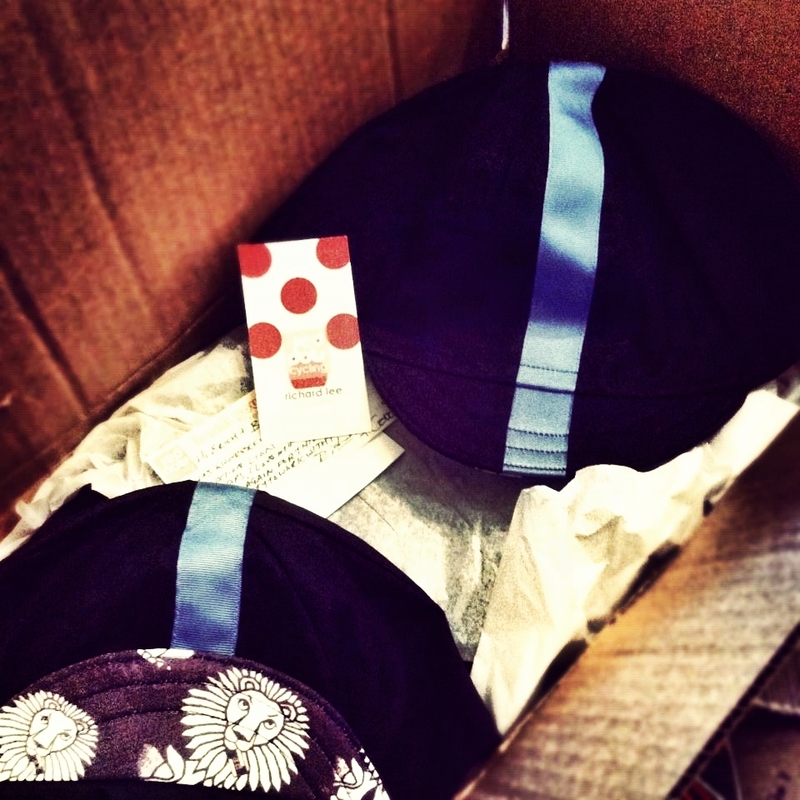 Richard had dabbled in sewing cycling caps and recycled inner tube bags for a while but had recently made the venture a full time gig and I was thrilled to see his wares first-hand with Red Dots Cycling (http://www.etsy.com/shop/reddotscycling?ref=em). Erich and Barry, from Winston-Salem NC, emailed us in November 2011 about creating some custom jerseys for their fledgling Autodrop (http://autodropltd.blogspot.com/) venture. One look at their website and we knew we liked them - a novel approach to riding events with no pretentious and "epic" attitudes. Fortunately, they hit us at exactly the right time and we were able to produce some custom color and embroidered Utrechts. When it came time to make our long sleeve Arnhems this summer, we did a run for them and amped up the design a bit with their custom lion graphic inside the collar. We had a bit of fabric left over and Erich and Barry wanted to use it for some caps. We don't make caps so the natural next step was to connect them Richard. A few weeks later, a matching Autodrop cap was in our mailboxes. Sounds like a simple chain of events right, and certainly nothing to blog home about. Maybe, maybe not. But I have to think that without the Internet that it might not have happened at all. Editor's Note: Big thanks to Jonathan, Richard G. and Richard L. for their dedicated work with us. It continues to be a treat to work with these highly passionate (& non-pretentious) supporters of cycling. In truth, we've partnered some some extraordinary folks to make this happen. Jonathan and Richard at Road Holland have worked with us on two projects now, making the process of producing high-quality, high-performing merino-blend jerseys easier than we could imagine. On top of that, Jonathan connected us to Richard and Carolle of Red Dots Cycling for the creation of the lovely objects you see below, our new cycling caps. These use the same fabric on the under-brim as was used on the collars of our long-sleeve jerseys - the lion print. The caps are perfect for fall / spring riding. You might even want to use one on a milder winter day or if your winter workout is going to be more than a Sunday cruise and a winter hat would be too hot. The cotton/linen fabric is lightweight and the stitching is so clean...no chance these will leave any hotspot under your helmet or rub you the wrong way. Richard and Carolle have designed a cap with a short brim for a classic look and good outward visibility. It just looks good, plain and simple. 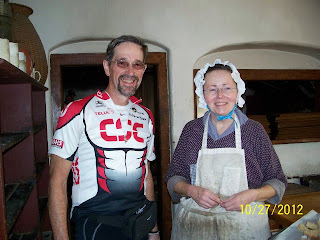 "Richard has a long infatuation with the classic cycling world and Carolle is the talented creative seamstress. Together, with our creativity and love for working with our hands, we endeavor to make the finest handmade cycling caps in the world. From our humble beginnings as Galstudio, we’ve taken on the task of pushing the classic cycling cap to new heights inspired by the Tour de France's King of the Mountains jersey. 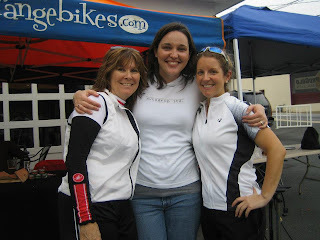 Red Dots Cycling was born in January 2012. After countless tests, we declared the classic four-panel capwith short brim the most comfortable cycling cap… the clear winner. By including a stripe detail we’ve improved the structure of the cap. We use a stiff brim material that won’t break or crack, so it’s perfect to slip in your jersey pocket. Our caps are not mass-produced, but are handmade in small batches. Quality is of the utmost importance to us. All fabric is pre-washed and ironed before production to avoid shrinkage. We only recommend hand washing to ensure your cap a long life and to fit as good as the first time you wore it. We offer our standard caps in two sizes: Small/Medium (21-22½”) and Medium/Large (22 ½-24”). However, we are are always happy to work with our clients on custom cap orders. We invite you to ride along with us and try our handmade cycling caps!" That just about says it all. Here's a pic of the cap in action, paired with our long sleeve jersey by Road Holland. Check the Autodrop Shop for the cycling cap - we have a limited number of these, so don't hesitate if you'd like to pick one up. The flyer is up! See below. Autodrop Ltd. is proud to be a part of this historic race. Summer is here. The hot, humid days are upon us. Local racing is in full swing and between planning events and participating in them, we've been busy. Summer means it's time to plan the fall checkpoint race as we need about 3 months of lead time to pull it off. We're juggling lots of options this year, and hoping to create the kind of magic that seemed to appear out of thin air last year. Thinking back to last June, when we hatched this idea for a checkpoint adventure race, it is hilarious to think how our most outlandish, no one-will-do-this type checkpoints are the ones that made the event so special. Who knew that several teams would go for the bonus points awarded by fording the Yadkin River with bikes over their heads? We surely didn't. In other news, Road Holland is coming to NC in July for a social visit. If you don't know Road Holland, skip on over to their website and learn about the small cycling-specific clothing company that makes a truly special product. We partnered with Jonathan and Richard on our previous jersey project, producing custom wool/polyester jerseys specifically for Autodrop Ltd. 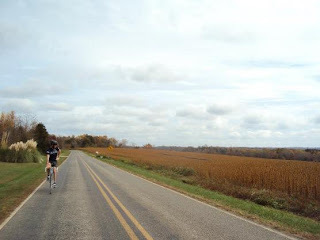 The guys are true cycling fans (not cycling snobs) and appreciate the good things about riding - friends, amazing scenery, good causes, and being comfortable while you do it. We hope to do some video / photo shooting with the RH crew while they're here, so stay tuned for that little project. 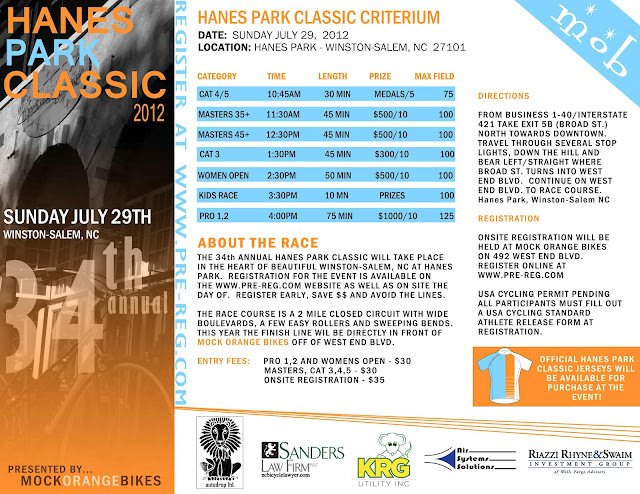 Also set for July is the Hanes Park Classic, a long course criterium in the historic West End neighborhood of Winston-Salem. 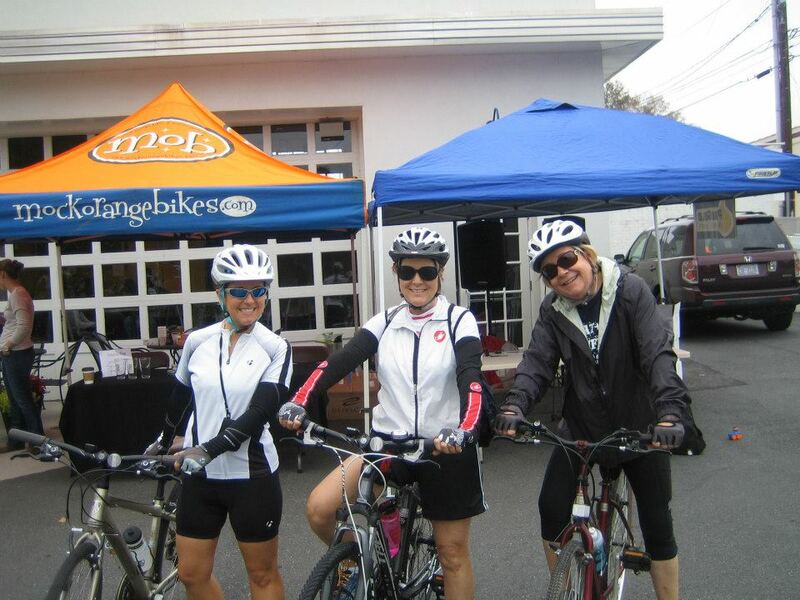 Mock Orange Bikes is a lead sponsor, but we're hopping on to support a few primes here and there. 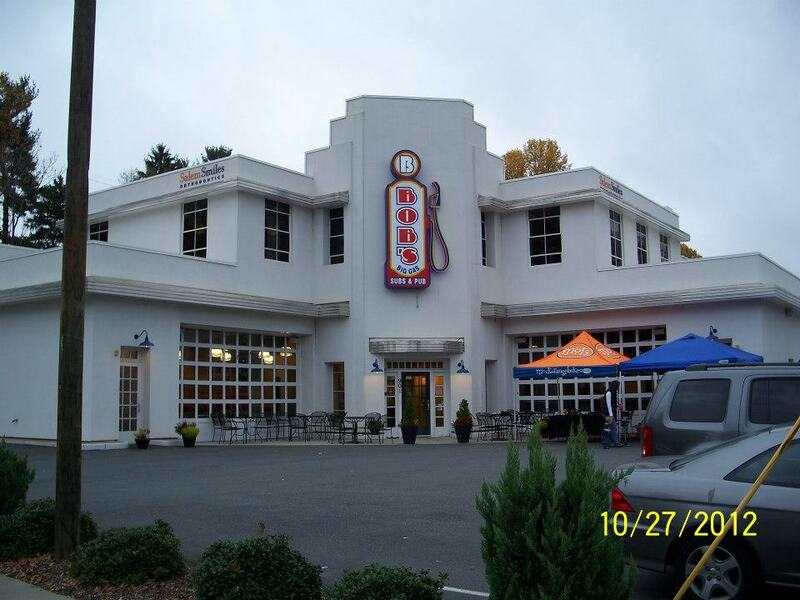 If you're racing on July 29 at Hanes Park, listen out for the Autodrop prime and hit the gas - you might land some cash or a custom pint glass. After six years of wanting to ride the Pisgah Mountain Bike Adventure Race, I finally mustered the courage to register. In the past, when it came time to register, I looked around (to no avail) for a teammate, then missed out on registration. This year, I bit the bullet, registered first, and then found a teammate. “T.B. Determined” was my initial teammate. After a couple weeks of searching, I convinced fellow Autodropper Sean (aka Doc Wheelies) to ride along…though it didn’t take much convincing. Fast forward to race day (minus any type of training…at all…for either of us), and we found ourselves in the Pisgah National Forest, toeing the line with 200 fellow mountain bikers who looked considerably more fit and determined than us. The race director, Eric, gave us some last minute directions, a map, and then sent us up Black Mountain to Pressly Gap to fetch our race passports. After about an hour of hike-a-bike, interspersed with some bits of riding, Sean and I arrived at the gap and checked out the map. After a few minutes of deliberation, we felt comfortable with our route choice. We left Pressly and continued up Black Mountain toward Turkey Pen Gap. Turkey Pen is like a time warp. If you aren’t heading nearly straight down, you are heading nearly straight up, which requires full attention either way. After about an hour of this, we were at the Turkey Pen trailhead, and had to head downhill on an old roadbed to the checkpoint. With a quick signing of the passport, Sean and I were on our way to Bradley Creek. Neither of us had ever been on this trail, but assumed with the snaking line on our map that we’d be following the creek from its confluence basically up to its origin. What we couldn’t see based upon the map was that we’d be crossing the creek at least 15 times. At the beginning, it was novel and entertaining to carry our bikes across a pretty sizeable creek, but by the last one…I think we were both “over” the idea of crossing it anymore! The end of the trail dumped us out onto Yellow Gap Road and we made relatively quick work of ascending the gravel to Yellow Gap. This may have been the high point of the day, as Stephen Janes was there cooking up grilled cheese and handing out ice cold Coke. Holycraphowawesomeisthat? We descended from Yellow Gap, heading towards our second checkpoint at the intersection of North Mills and Lower Trace Ridge. Based on our trusty map, we had opted to use a gravel road to get as close to the intersection as possible. In hindsight, the trail to access it would have been significantly more fun, and likely faster as we ended up getting a bit lost trying to find the intersection of Wash Creek and the gravel road. Once found, we descended down the trail to the checkpoint. I'm wonding if perhaps Brado captured a photo of me walking my bike like a pansy on this trail that looked as if it had been bombed. Truly, this trail looked as though the CCC had placed a large amount of dynamite into a boulder the size of Texas, detonated it, then placed the remnants strategically on a downslope of about 20%. Reeeediculous! While climbing away from the river on Yellow Gap Loop, doubt began to creep into my mind about the probability of reaching two more checkpoints and making it back to Black Mountain in one piece. When we got back to Yellow Gap Road, I knew that we had to ascend back to where the grilled cheeses were housed. Forever in my mind Yellow Gap will now equal Grilled Cheese Gap. My legs were starting to give way, and I found myself more and more in my granny ring, slogging my way through the gravel. Doubt was no longer creeping, but settling. We grabbed a couple more grilled cheese sammies and Cokes, then descended from Yellow Gap towards 1206 and our third checkpoint. Yellow Gap Road served as a perfect thoroughfare to tag the third checkpoint, but by the end, my legs were cooked. Sean was in good spirits and tried to offer encouragement, but I knew that I was nearing my limit. When we did finally reach 276, we could have fairly easily descended to the third checkpoint, but the idea of making it to the fourth on Avery Creek near the top, then back over to Black Mountain…well, it wasn’t going to happen with how slowly I was moving. With a melancholy spirit, I told Sean that my legs were done, and that I knew we wouldn’t make it to the fourth checkpoint even if we got the third. One redeeming point was that we could descend 276 and back to the Black Mountain trailhead. When we rolled into the start finish, I was pretty disappointed that we didn’t get to actually finish the race, but I shouldn’t have been surprised. I knew, without a doubt, that I wasn’t in good enough shape to complete 60-80 miles in Pisgah. In fact, I am amazed that I was able to coax 50 miles of Pisgah out of my atrophied legs. All in all a great day and a fantastic event run seamlessly by a very organized director and host of volunteers.